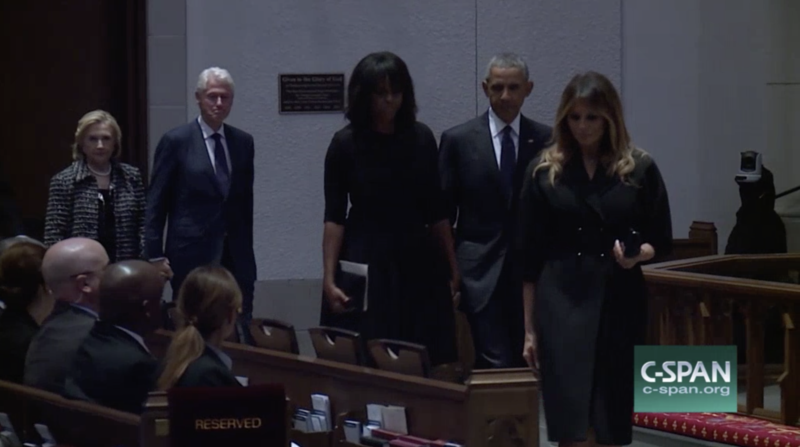 Some of the most powerful people in the world gathered to honor the legacy of former First Lady Barbara Bush in Houston Saturday morning. Barbara Bush passed away at the age of 92 this week. The wife of George H.W. Bush and mother of George W. Bush left a legacy of service, philanthropy and raw honesty in the public arena. She was beloved for those traits, especially by those who knew her the closest. 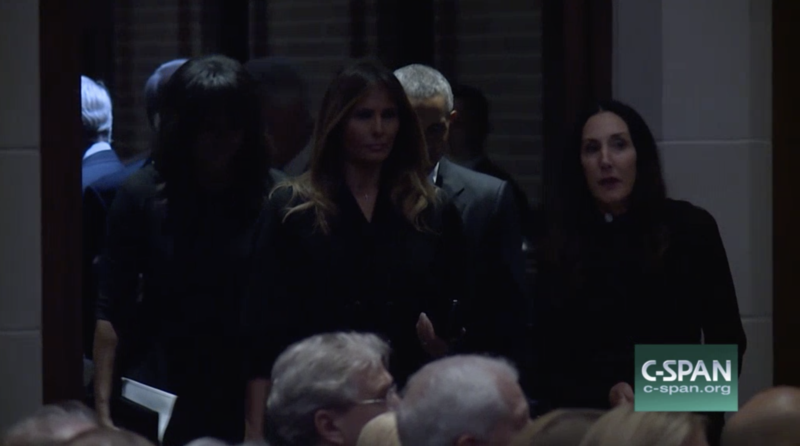 At Barbara’s funeral service at St. Martin’s Episcopal Church in Houston, the love for Barbara Bush was on display. The church filled up for the memorial service of the beloved public servant. 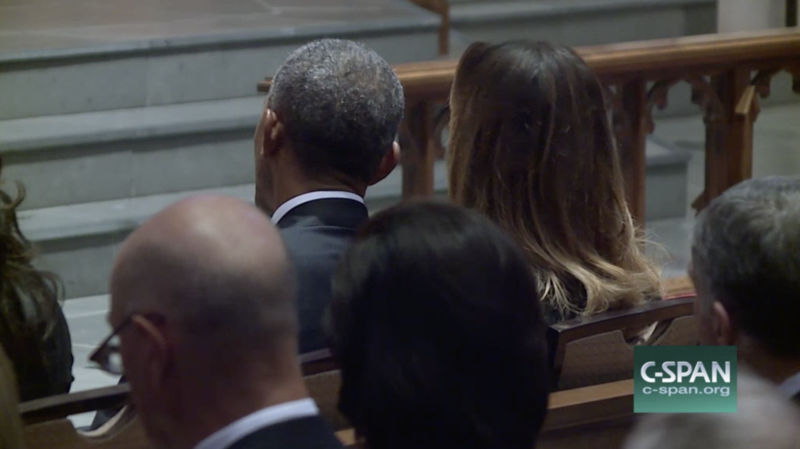 The front row of the pew of the church featured some of America’s most famous political families. 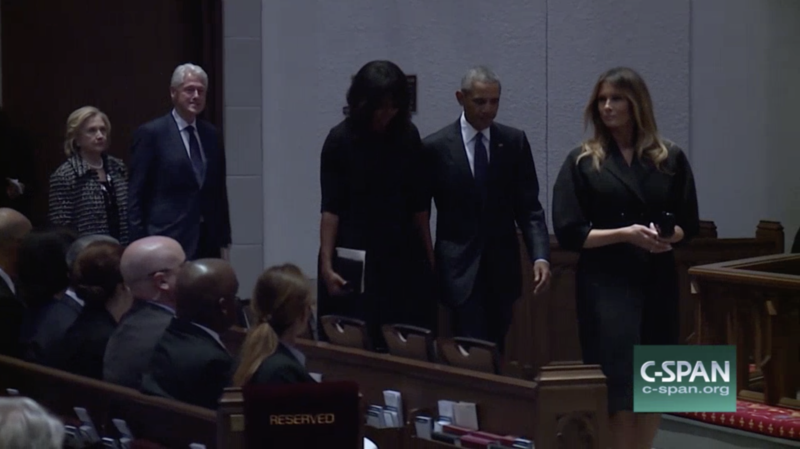 Melania Trump walked in, followed closely by Barack and Michelle Obama and then by Bill and Hillary Clinton. 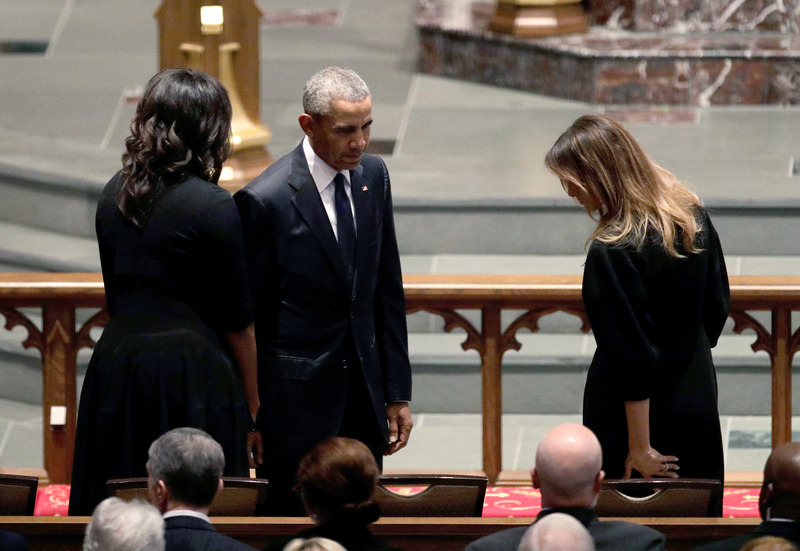 While Melania attended the funeral alone and was surrounded by her husband’s political opponents, she was the beacon of class. Melania stood proud smiling and waving at those in the audience. Multiple times she could be seen laughing and creating polite conversation with her husband’s predecessor, Barack Obama. The two could be seen smiling on multiple occasions together. Hillary and Bill Clinton, further down the pew, could be seen looking on solemnly. 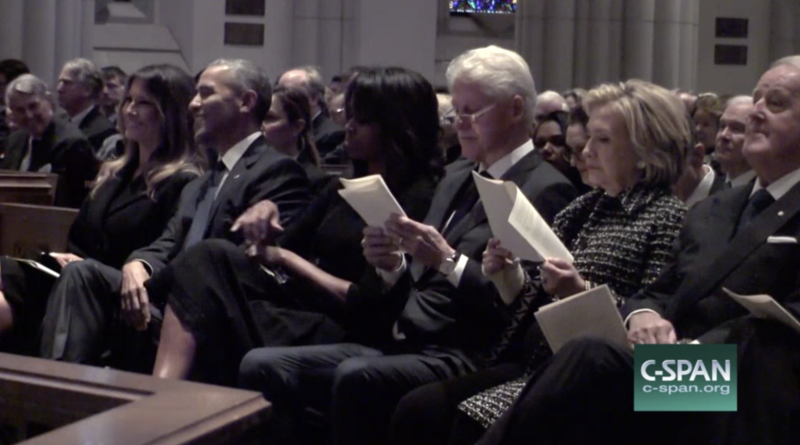 It was a powerful moment for America to come together and celebrate the life of the legendary woman.